I am an extractor of details. A composer of environmental minutiae. 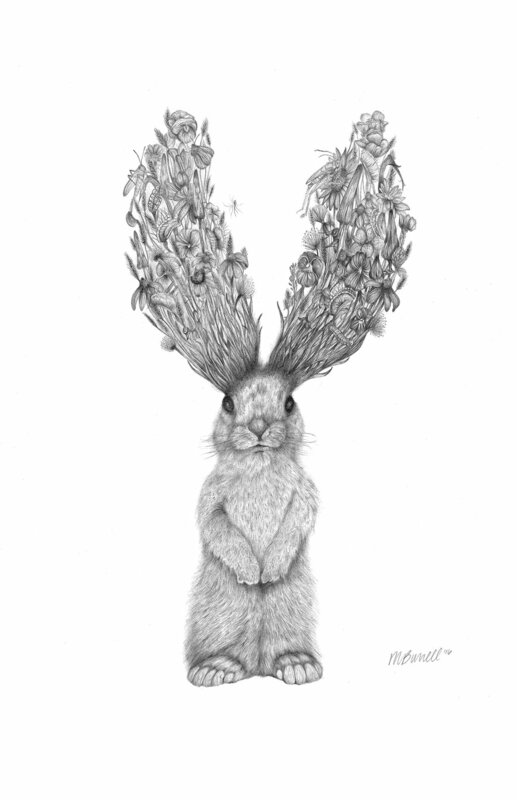 Narrating softer, detailed graphite portraits of animals, there is irony in their whimsical nature. Coming from an alternate future where nature has not waited for us to catch up with the facts on the ground. In this future, the animal kingdom has managed a forced co-operation that seems unnatural to the contemporary eye. Predator and prey aid each other in flight of some unseen disaster, suggesting an evolution of awareness and intellect forced by external stresses. Within the playfulness and warmth, there is an air of the baroque sublime as well as dystopian realism. However, because the portraits are in done grayscale, they are more like a memory. The juxtaposition between warmth and distance is crucial to these works. Details delicately dropped within gratifying textures like waves across the paper, my perspective always errs on the side of hope.